I may never had tried this recipe or had this afternoon if we hadn't decided to sign up for a cooking experience through my friend Antimo's travel company Voomago. We said we wanted to cook and make desserts and be surrounded by Italy and it happened. We wanted to eat and smile and have a delicious experience and it happened. Antimo created and invited us to spend the afternoon with his friends, making, baking and enjoying incredible things. It was heaven for me as Italian flew from mouths and swirled around my head. I tried to catch every word as I rolled and stirred and played with marzipan. I tried to take in everything as the minutes and hours passed in this little Italian kitchen.....as we laughed and learned....and as we experienced what we set out to experience. It was everything we wanted and we made some unforgettable friends and some beautiful Italian dishes. This recipe is one of them. 1. Heat the broth and keep warm. 2. Over med heat melt the butter. Add the chopped onion and a pinch of salt and saute until the onions start to soften - about 5 min. Add the rice and toast for 3 - 4 min until opaque - stirring often. 3. 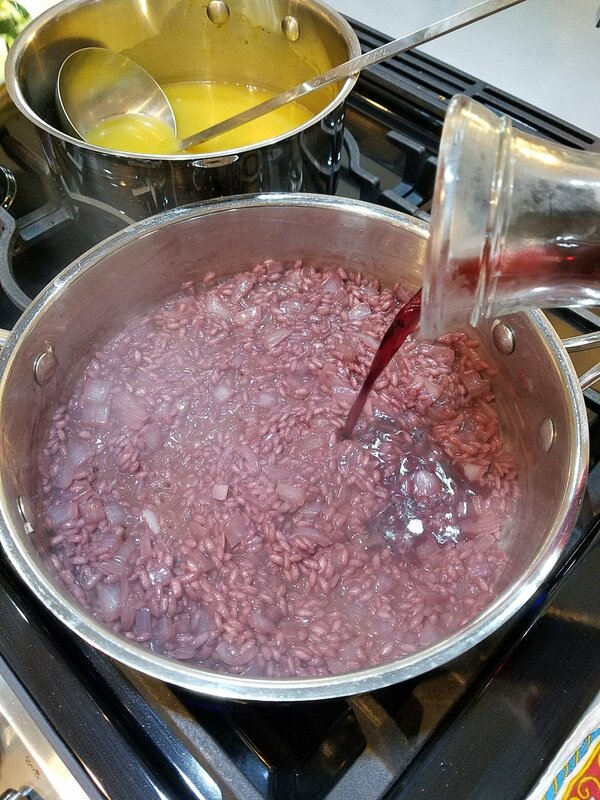 Add in half of the red wine and simmer. When almost completely absorbed, add a ladle full of broth, just enough to cover the rice. Continue simmering until almost all of the broth is absorbed. Add the rest of the wine and repeat. 4. Continue adding the broth a ladle full at the time, simmering until the broth is absorbed. Repeat this until the rice is tender, stirring often. 5. 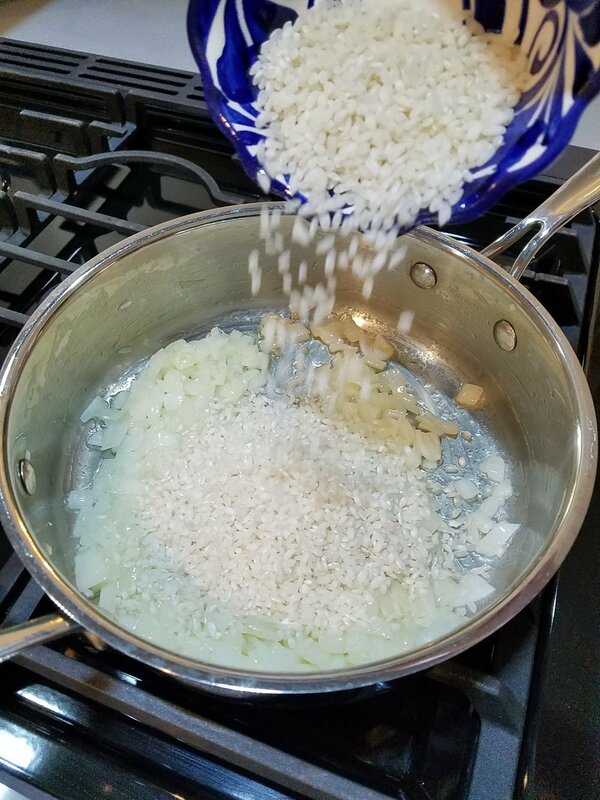 When the rice is tender, take off the heat and stir in the remaining tablespoon of butter and 1/3 cup cheese. Season as desired with salt and pepper.